Add all the ingredients except the dressing to a large bowl and mix well. 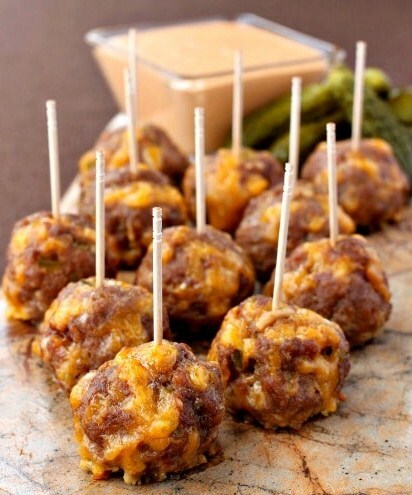 Roll into meatballs roughly the size of a golf ball. You can use a 1 1/2 T. scoop to make them even. Place the meatballs on a parchment lined baking sheet and bake for 15 minutes.